In the name of all the members of the research centre, I want to send our congratulations to André Parent, who received on May 3rd the Gloire de l'Escolle medal, given during the "Les Remarquables" ceremony that honors distinguished graduates, who, by their contribution to society and the scope of their career, bring honour to Université Laval. André is a world-recognized expert in neurobiology. 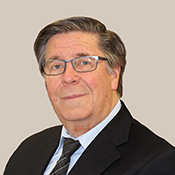 He has contributed to the Quebec city's, an our research centre's, reputation as an important place for neuroscience research. Thank you André for your contribution to the rise of our Centre, this honour reflects positively on our community!